If you need to borrow money you may not be sure what type of loan to apply for. In some cases, like when you purchase a home, you will have little choice but to take out a secured loan. However, if you're looking to borrow money to take a dream vacation or continue your education, an unsecured loan would likely be necessary. A secured loan requires you to back the loan with personal assets to guard against default, while an unsecured loan requires no backing with personal assets. A secured loan involves putting up some form of collateral, which takes the form of personal property like a car or home. 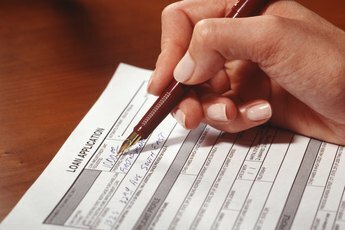 If you default on the loan, the lender can legally take possession of your property and sell it. Unsecured loans do not require collateral. 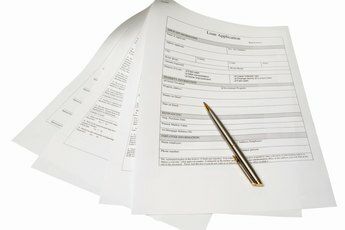 The lender relies more on the terms of the loan contract to ensure that you repay the loan. If you default, the lender's only recourse may be to sue you, although this can be a time-consuming and expensive process for the lender. Common examples of secured loans include home mortgages or car loans where the lender can institute foreclosure or repossession proceedings to take back your home or car if you can't pay. Unsecured loans typically take the form of personal loans provided by consumer finance companies, as well as student loans. Credit cards are also a form of unsecured loan because they allow you to purchase items and take cash advances without the need for collateral. When you use collateral to back up the loan, you may be able to borrow larger amounts of money at lower interest rates with a secured loan. However, you need to be careful. You don't want to risk losing your house or car by falling behind on payments you can't afford. With unsecured loans, lenders need to account for the fact that a certain percentage of borrowers will default on the payments. That is why lenders often will charge you a much interest higher rate on an unsecured loan. Secured loans may offer certain tax advantages that are unavailable with unsecured loans. 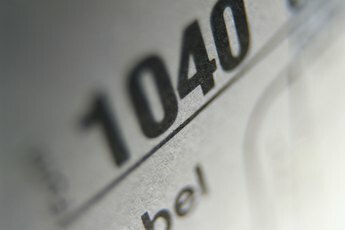 You may be able to deduct the interest you pay on a home mortgage from your federal taxes. If you borrow against the equity in your home in the form of a home equity loan or line of credit, you may also be able to deduct any interest you pay. You won't enjoy that same benefit with personal loans or credit cards.